There are rooms with ensuite bathrooms for rent in this beautiful, 2-bedroom apartment in Schaerbeek. The apartment is stunning: renovated with style and comfort in mind, this 85 m² property has a classy living room with seats and a large flat-screen TV and a fully equipped kitchen. As both rooms with private bathrooms, they provide privacy for each tenant. The views from the flat are just as gorgeous as the interior, with unobstructed views of the colorful street below. The property is situated on Grande Rue au Bois in Schaerbeek, an area which boasts tree-lined streets with elegant, traditional facades. Walking home will be a sightseeing experience in itself for tenants of this conveniently located apartment! The kitchen comes fully equipped with an oven and dishwasher. The living room is beautifully decorated with sophisticated pieces of furniture that contrast with the wooden flooring. There is also a large flat-screen TV so tenants can catch up on their favourite shows. As both rooms come with private bathrooms, the only shared areas will be the kitchen and the living room. The apartment comes equipped with double glazed windows that block out any unwanted street noise. 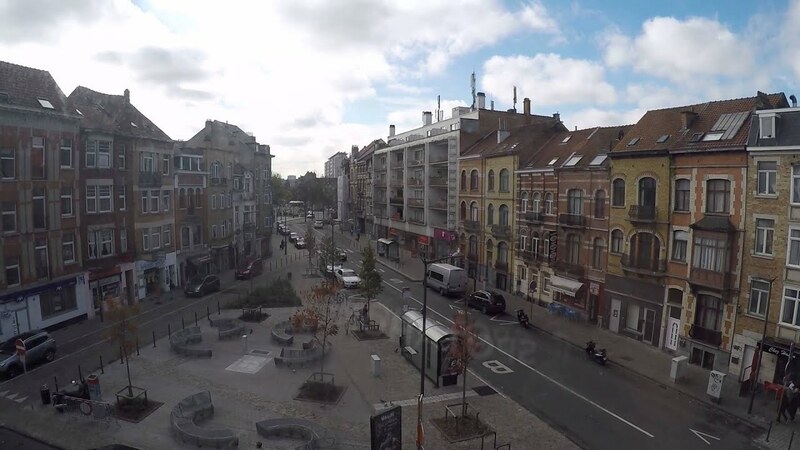 The neighbourhood of the flat, Schaerbeek, is often compared to Notting Hill for its classic beauty. You will see why once you look out the numerous windows of the apartment! There are various tram, bus, and train lines within walking distance. The kitchen features a small window for ventilation. Madou metro station is about 18 minutes away. Gare de Meiser can be reached in 5 minutes. There are several bus stops nearby, including those that serve routes 61, 64 and 29.